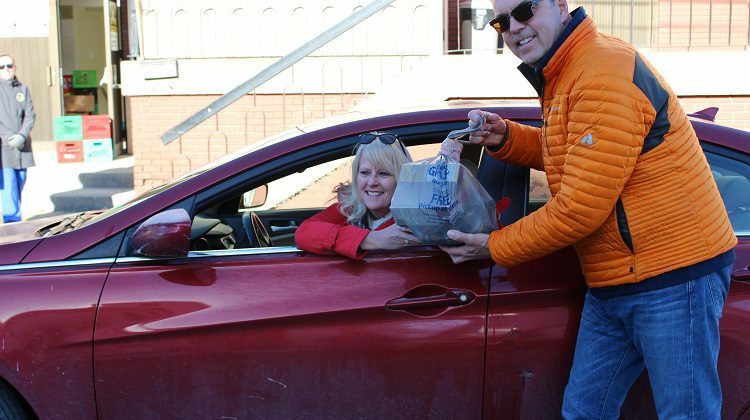 Donors to the Timmins Food Bank didn’t even have to get out of their cars this morning to make a drop-off. 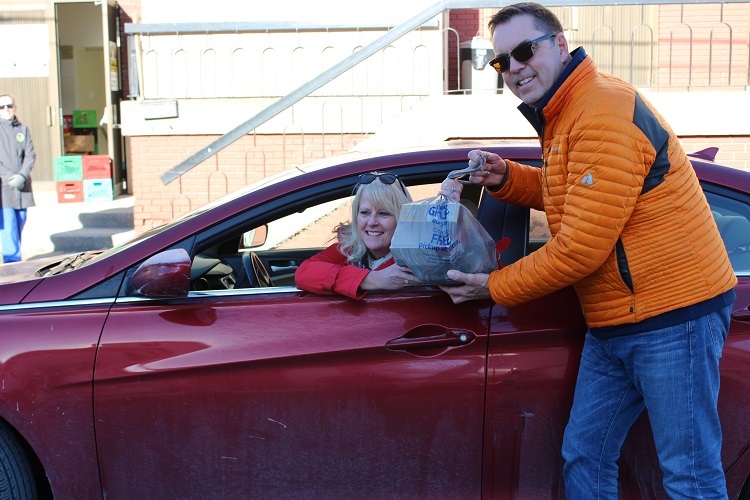 The Chamber of Commerce organized the hour-long drive-thru collection, headed up by executive member Rob Knox. Goldcorp also donated $10,000 towards the one fridge and one freezer. Knox says this morning’s event was to help stock them — and now donations are no longer limited to non-perishable items. 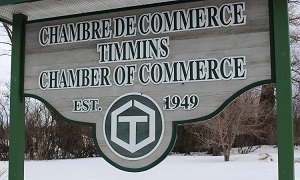 The Timmins Food Bank serves about 100 families every week from its headquarters in the old Nativity Church on Spruce St. N.